The metallic element cobalt was named after “the goblin of the mines,” but that’s just part of this element’s devious history. 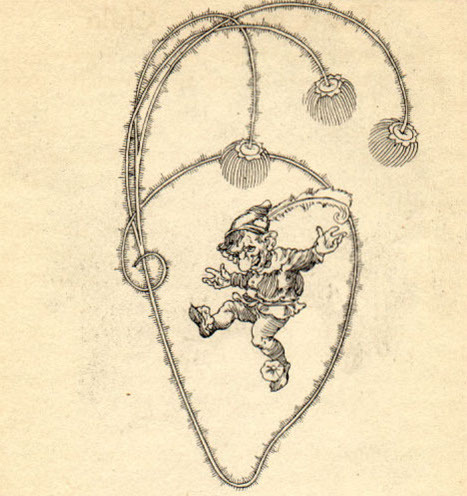 Sometime around the year 1500 CE, German miners working near the silver veins of Saxony encountered a particularly pesky ore. On first glance, the material resembled silver, but when they tried to melt down the ore to separate the precious metal, it didn’t smelt properly. The miners were left with what they thought was a worthless lump, rather than silver. Plus, the ore had “mischievous effects” on their health—during processing, toxic fumes would fill the air, causing miners to fall ill or even die. It wasn’t until the 1730s that the Swedish chemist Georg Brandt—whose family happened to own and operate a smelting plant—isolated the metal. Suspecting that the core of the material was in fact a previously unknown element, Brandt tested his theory on an ore from Sweden, and separated the metal via fire assay, and isolated the same substance that those German miners had named. Brandt stuck with the miners’ name for the material, and called the newly discovered element cobalt. 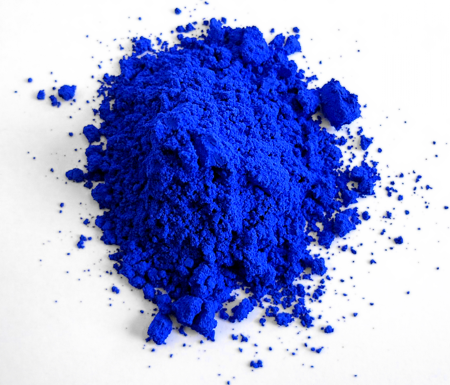 About 70 years after Brandt isolated the cobalt element, the French chemist Louis-Jacques Thenard was given a task by a French government official: Create a new blue pigment. At the time, ultramarine was a pigment that was both wildly coveted by artists and wildly expensive. Thenard was charged with finding an alternative. So, where to begin? Thenard began to think about stained glass windows and ancient pieces of tile and porcelain that been colored blue with rough amalgamations from cobalt ores since antiquity. But to be a viable alternative to ultramarine, Thenard’s new pigment had to be predictable—it needed to remain colorfast after being left out in sunshine, and had to look the same in both watercolor and oil paint form, for example. Thenard took a closer look. In 1802, he mixed cobalt phosphate or cobalt arsenate with alumina, then roasted it at a high temperature. The result was the stable, “fine, deep blue” we now call cobalt blue. The new pigment took off. In 1945, the artist and art dealer Han van Meegeren found himself in an unusual position. During the war, the Nazis systematically plundered art collections in an attempt to erase the “degenerate art” and cultural remnants of the Weimar Republic. But the Nazis considered Old Flemish and Dutch masters, like Johannes Vermeer, “desirable”—and collecting such artworks symbolized their commitment to the Reich. When the Allied art commision began to return paintings to their rightful owners after the war, they discovered that van Meegeren sold an early work of Vermeer to a Nazi official, netting a hefty sum—and collaborating with the Nazi regime, writes St. Clair in The Secret Lives of Color. Hoping to wiggle out of the collaboration charge, van Meegeren decided to out himself for a different, lesser crime: The Vermeer he’d sold wasn’t a Vermeer at all. Van Meegeren had painted it himself. 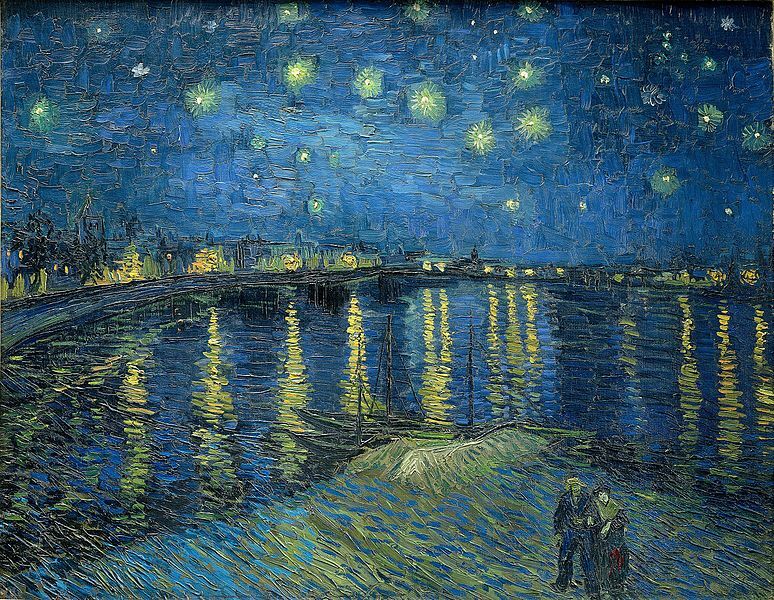 In traditional oil paints, pigments are suspended in linseed oil to dry. Van Meegeren used a substance similar to Bakelite instead, which hardened under heat—and also helped him fool X-ray machines and other solvency tests used to date oil paintings, writes St. Clair. In addition, he painted on old canvases that already featured the authentic cracks found in aging paintings. He also took care to use pigments only available in the 17th century, when the artists he was impersonating were working. But, luckily for him, he made one mistake. “He had so much success in his career as a forger that he probably just got a bit lazy,” says St. Clair. Van Meegeren had dipped into Thenard’s colbalt blue, a pigment that wasn’t invented until more than a century after Vermeer’s death. Ultimately, van Meegeren wasn’t charged with collaboration, but with forgery. He died of a heart attack shortly after he was sentenced. Decades after van Meegeren’s mistake and century’s after Thernard’s discovery, we’re still searching for better blues. Remember YInMn Blue, which was accidentally discovered in 2009 by scientists at Oregon State University while researching electronics materials? It's a tale of particle physics, Aristotle, and James Joyce.